George P. Lakoff (/ˈleɪkɒf/, born May 24, 1941) is an American cognitive linguist, best known for his thesis that lives of individuals are significantly influenced by the central metaphors they use to explain complex phenomena. The metaphor thesis, introduced in his 1980 book Metaphors We Live By has found applications in a number of academic disciplines and its application to politics, literature, philosophy and mathematics has led him into territory normally considered basic to political science. 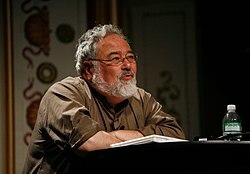 In the 1996 book Moral Politics, Lakoff described right-wing voters as being influenced by the “strict father model” as a central metaphor for such a complex phenomenon as the state and left-wing voters as being influenced by the “nurturant parent model” as the folk psychological metaphor for this complex phenomenon. According to him, an individual’s experience and attitude towards sociopolitical issues is influenced by being framed in linguistic constructions. In Metaphor and War: The Metaphor System Used to Justify War in the Gulf, he argues that the American involvement in the Gulf war was either obscured or was put a spin on, by the metaphors which were used by the first Bush administration to justify it. Between 2003 and 2008, Lakoff was involved with aprogressive think tank, the now defunct Rockridge Institute. He is a member of the scientific committee of the Fundación IDEAS (IDEAS Foundation), Spain’s Socialist Party‘s think tank. 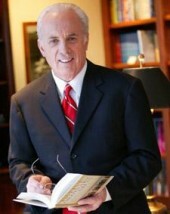 The more general theory that elaborated his thesis is known as embodied mind. He is a professor of linguistics at the University of California, Berkeley, where he has taught since 1972. In the second video below in the 60th clip in this series are his words and my response is below them. Below is a letter I wrote to Dr. Lakoff and I respond to his quote in the letter. I saw you on the show CLOSER TO TRUTH and that is what me started reading your material. Let me start off by saying that this is not the first time that I have written you. Earlier I shared several letters of correspondence I had with Carl Sagan, and Antony Flew. Both men were strong believers in evolution as you are today. Instead of talking to you about their views today I wanted to discuss the views of you and Charles Darwin. Does the soul have a personality? Well it turns out that if you have certain strokes in certain parts of the brain your personality changes. Without that part of the brain whose personality is the soul? So the soul doesn’t see, doesn’t think, doesn’t hear, doesn’t have emotions, or a personality. Okay, whose soul is it and what good is it? It doesn’t fit the usual notion of a soul as you are.